The Formentera Council's education office reports that today, Friday May 18, to June 28, applications are being accepted for assistance for used text books, higher education and travel costs during the 2017-2018 school year. Education secretary Susana Labrador held up the “renewed support the assistance offers Formentera students” while highlighting other financial support also available at the regional and national level. 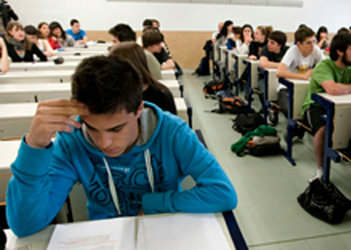 The Formentera Council has earmarked €95,500 for students this year. The Council has pledged €45,000 for textbook purchases. The money will benefit resident families registered on the local padró by helping build reserves of second-hand textbooks at Formentera's primary and secondary schools. Schools will get €50 for every child in primary and €70 for pupils in secondary education. For large and single-parent families, the aid covers 100 per cent of costs. The Council will hand out €12,500 in ten €1,250 grants. To be eligible, candidates must be domiciled on the island and enrolled in higher learning (university, fine arts, technical studies, professional fine arts, design, sports studies)”, Aguilera reported. Study grants will only be awarded to students of public, attendance-based programmes. Private schools will only be considered if the studies in question are not offered by any public establishment. Locals can also request travel cost reimbursements if their higher education, technical training programmes, postsecondary formal education or art programmes are not offered on Formentera. The Council will dedicate €38,000 for aid of that order, split into chunks of €150 for students in Eivissa or in distance learning programmes and €450 euros for students who study outside the Pitiüses. Details on eligibility and documentation required for the application are available here. Submissions can be dropped off in person at the Citizen Information Office (OAC) or online on the OVAC website. For more information potential candidates can visit the Council's department of culture, education and patrimony. The deadline for requests is June 28.